The National Australia Bank has announced an end to its ‘Introducer’ payments program to take effect in October 2019. The Introducer program was launched by NAB to reward businesses with a commission for new successful lending referrals to NAB. The program was promoted by NAB as a way to fundraise for communities and as a relationship strengthen program. The program has been the source of many problems for the bank with KPMG being commissioned to investigate the program in 2015 and found large issues including bankers falsifying documents to issue bogus loans and serviceability issues. KPMG went as far as investigating introducers for links to organised crime and terrorist financing and NAB continued to investigate the problem and in 2016 notified the police and ASIC resulting in the sacking of 20 staff and more disciplined. 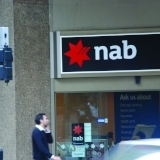 By October 2019 NAB will no longer make referral payments to Introducers with chief executive Philip Chronican saying it was important that the bank acted and changed its actions. Commissioner Kenneth Hayne in his final report did not recommend the banning of such schemes but after hearing about fraud issues around such programs did raise the question about who the introducers were actually working for. The program was reportedly responsible for approximately $24 billion in loans and in 2018 the bank said it was responsible for one in every twenty home loans it wrote. Mr Chronican said he wanted Australians to come to NAB because of what the bank offered, not because someone was paid to do so. The change is significant for NAB and the industry, but Mr Chronican said it was the right thing to do for the banks customers. NAB is the first of the big banks to remove their introducer program with a report from ASIC revealing that in 2015 $14.6 billion in home loans by the big four were sold via introducer channels. The announcement is the latest by the bank who recently announced that it would keep all regional and rural branches open until at least 2021. The bank has also extended the protections of the code of banking practice to small businesses and has supported 72 of the royal commission recommendations with 26 either completed or in the process of being implemented.